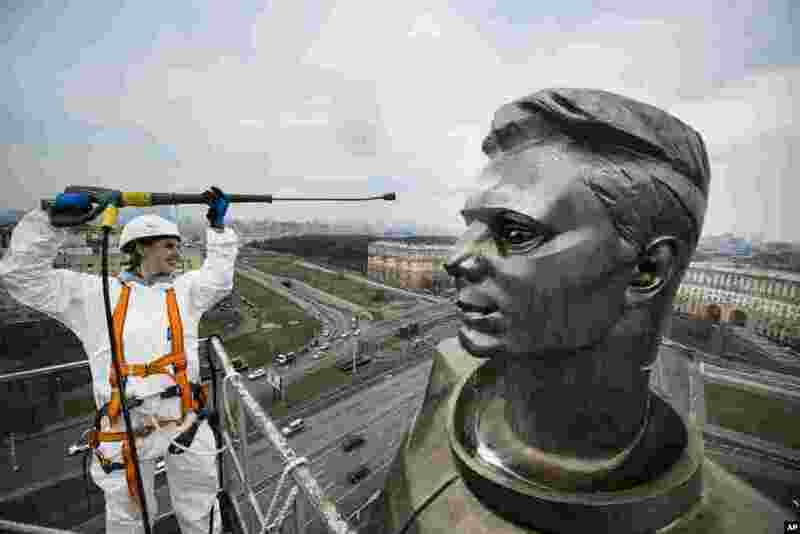 1 A worker cleans the statue of Yuri Gagarin, the first person who flew to space, ahead of Cosmonautics Day celebrated on April 12, in Moscow, Russia. 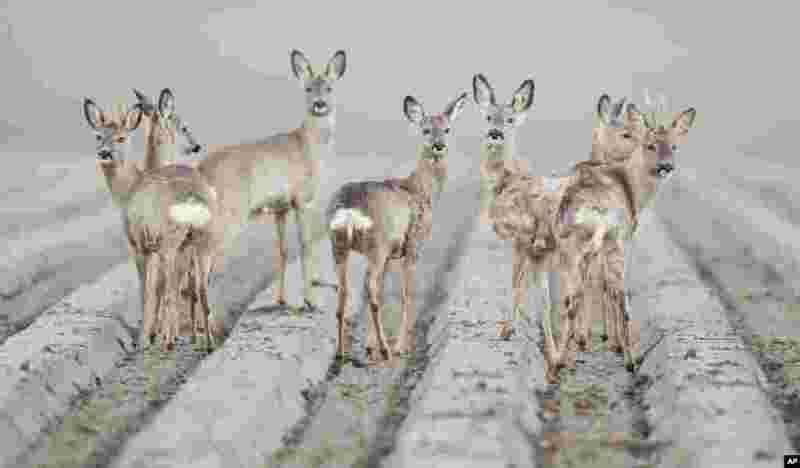 2 Deer are seen on a field near Hildesheim, Germany. 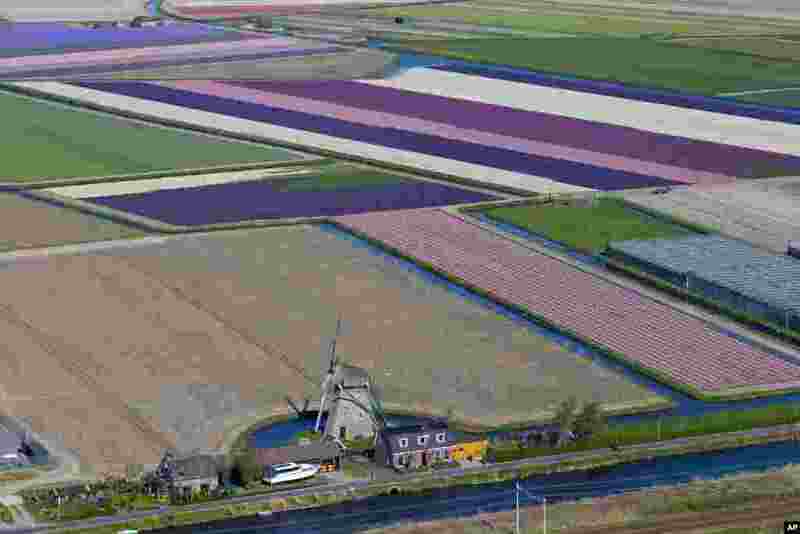 3 Aerial view of a windmill and flower fields surrounding Keukenhof spring park in Lisse, near Amsterdam, Netherlands. 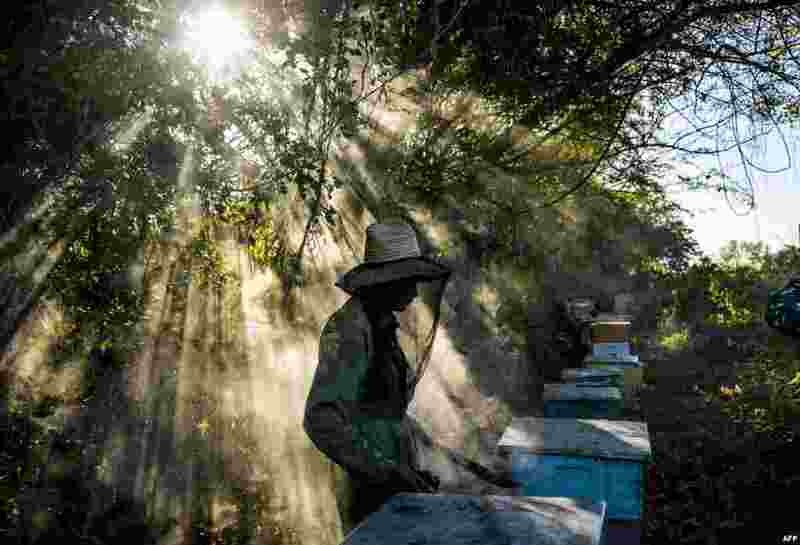 4 A beekeeper works at an apiary in Navajas, Matanzas province, Cuba. In the mountains of Matanzas province, bees buzz free of agrotoxic, enjoying a diet rich in wild flowers and producing a high quality honey, that European markets crave for.